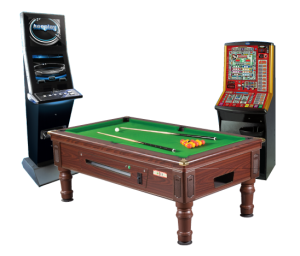 Since 1960 Keeday Leisure has become one of the largest leading independent gaming and amusement machine suppliers. With four offices located in Lancashire, Leicestershire, Lincolnshire and South Yorkshire we are ideally situated to supply venues throughout the midlands and beyond. Although established over 50 years ago, we are still owned by the founder’s family and the company stewardship has now been passed on by his son Keith Baker(Chairman) to the current Joint Managing Directors, his sons, Charles and Nigel Baker. The business has grown over recent years due to innovation and foresight. Being a totally independent company we source all our products from many manufacturers. Our policy is to operate “Best of Breed” along with the best service to our customers. Our customers are diverse from Pubs, Regional Breweries, National Breweries(Tenanted & Managed), Members clubs, Universities, Armed Forces and Amusement Arcades, we can cater for all. Our product range is arguably the largest in the industry and we have earnt and enviable position of bringing innovative products to market first. That’s why our name is ‘Behind The Game’. Let us grow your income, and by dealing with one company for all your machine needs, we back this up with professional machine management. 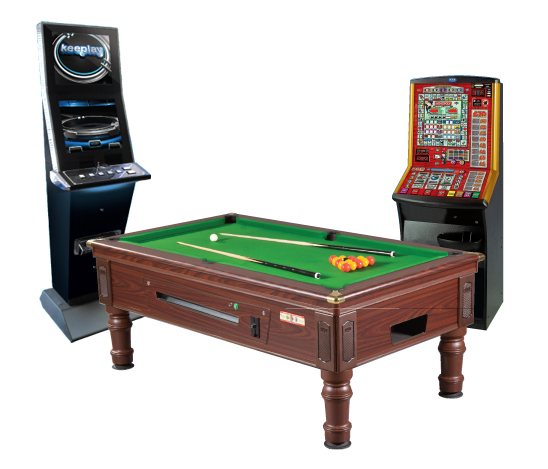 Reel Machines, Digital Machines, Pool Tables, Quiz machines, Jukeboxes, Lottery Machines, Video Games, Football Tables and Plasma Tv’s. Professional team who are dedicated to maintaining and improving machine choice for your customers 24/7 and 364 days a year. Your machine management is looked after by a team of dedicated professionals. From a supply only service, to a fully monitored service we are here to help your grow your income at your venue.